Flying drones can be a tricky skill. The crafts are small and the innate ability of automated systems to screw up at the wrong time need not be explained. Their props can be dislodged, their batteries can act funny and die in an instant and they all result in one conclusion; 5$ worth of useless rubble of a once 800 $ drone. The fear factor is also absent as opposed to an actual flight where the pilot has to take evasive measures to save his aircraft. Keeping all of these factors in mind, Drone enthusiast Michael Pick has introduced SmartChutes. SmartChutes are very different in principle than the ejection seats installed in jet aircraft. Both of them are deployed to open a parachute in case of a flying emergency, but, while the ejection seat is used to save the precious lives of pilots, this Smart chute is used to save the drone altogether from crashing down. 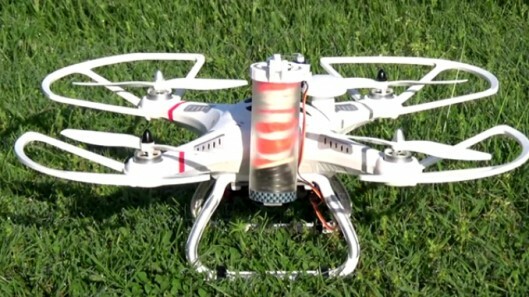 When the onboard sensor detects that the drone is in free fall or its top is tilted by more than 90 degrees, it automatically ejects the chute within 0.35 seconds of it happening. The users can also manually deploy the parachute by killing the throttle. 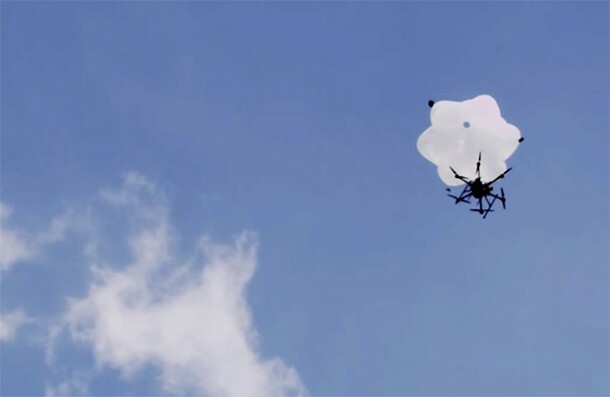 The unmanned aerial vehicle will drop and the mitigation system will start. Since it runs on its own rechargeable batteries, there is no danger of failure if the main battery is dead. This is only a prototype at this stage. It looks oversized for now, but Pick is aiming for a 30 percent reduction of size and 113 g weight reduction for a more feasible design. He is pursuing Kickstarter funding at 130 $ a piece. The system could come in handy when it is saving an expensive drone every other month. The planned retail price is close to 160 $. The entire SmartChutes system is projected to weigh under 4 oz (113 grams). We are not looking to reduce the weight of the system by 113 grams like your article states. Please revise this! Thank you!